Do you know what’s the saddest thing in a person’s career? Feeling a moment of sadness rushing through your mind reading it? Perhaps a career change is on the horizon. And we might just have what you’ve always wanted. • Meet up with customers to discuss on future training plans over a cup of coffee or lunch. • Not appear in the office at all! It’s fine when you’re busy with appointments of course. • Coordinate with our sales trainers on training date. • You must love to sell! You find joy in crafting the perfect solution for your clients that even he/she couldn’t help but love what you are providing to them. You are able to make the best use of every situation. You find ways to solve problems instead of avoiding them all the time. You must be someone who never stops learning and improving. There will always be someone out there better but that’s not the point. The important thing is are you constantly upgrading yourself? If you are in sales, you’ve got to dream big! It’s what drives you to achieve more in life. Provide a better life for your family? Travel around the world? An innate desire to prove that you can do it? This is the perfect industry for you! • Amazing incentive trips! We just got back from Japan! • Good starting salary, allowances and commissions. 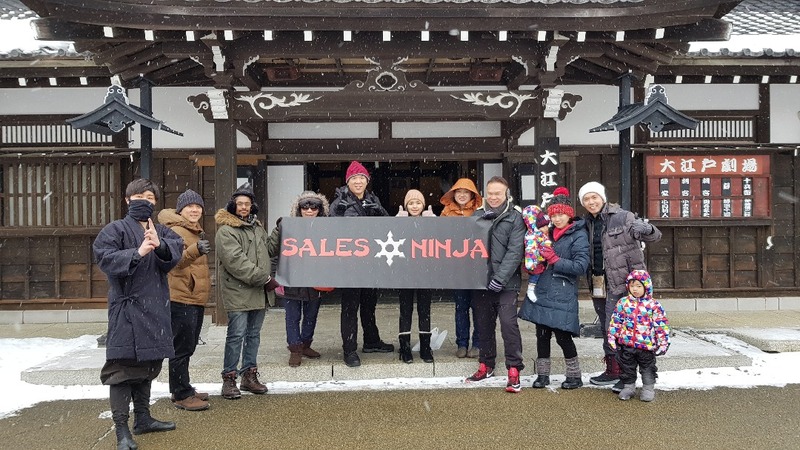 • Direct training from our Sales Ninja Grandmaster, Hanzo Ng! Join the best sales training company in Malaysia today!